Worshipful Brother Hextall explores various possible histories of the Hiram Abiff legend in Masonic ritual, focusing largely on noted British alchemist and astrologer Elias Ashmole in the process. 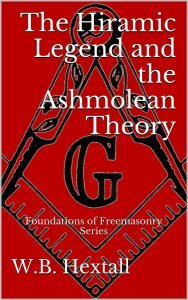 He includes speculation on the manufacturing of the Master Mason degree as well as the history of its emergence. And what does the burning of historical Masonic documents in 1720 have to do with all of it? The author explains.